elderly housing development & operations corp. Creates and manages safe, secure, and affordable housing for senior citizens across the united states. Ehdoc maintains 90 units at this location. Georgian manor iii is a senior low income housing apartment subsidized by the federal governments hud (housing and urban development division). contact georgian manor iii for complete details on the current vacancies and housing applications. 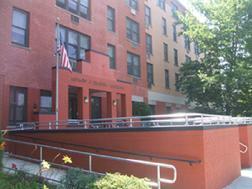 Zbikowski park is a family low income housing apartment subsidized by the federal governments hud (housing and urban development division). contact zbikowski park for complete details on the current vacancies and housing applications. Utilities Included: (user reports): I think so. Delorenzo towers is a senior low income housing apartment subsidized by the federal governments hud (housing and urban development division). contact delorenzo towers for complete details on the current vacancies and housing applications. Bristol grp homes is a disabled low income housing apartment subsidized by the federal governments hud (housing and urban development division). contact bristol grp homes for complete details on the current vacancies and housing applications.